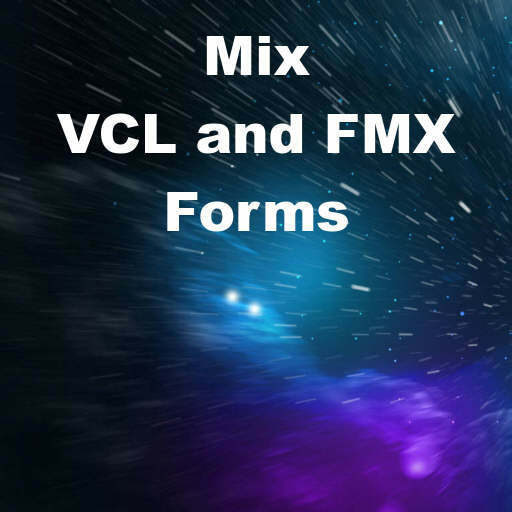 Jim McKeeth has a blog post up from late 2013 about a utility called MonkeyMixer that allows you to have VCL and FMX forms within the same application in Delphi XE5 Firemonkey. Simon Stuart is the creator of the utility and it installs into the Delphi IDE. Apparently, a version of this utility is coming soon for Delphi XE6. It adds a new menu into the Project Manager section of the IDE. When you right click on a project you can choose Switch Project to Firemonkey or Switch Project to VCL depending what your current project is set to. One interesting thing you can do (I think) with MonkeyMixer would be building your app using Firemonkey forms but including a VCL form so that you can use the TTrayIcon component which uses the Windows API. There is also a video which demonstrates the capability of the MonkeyMixer utility. There is also a different component that allows you to embed Firemonkey forms within your VCL applications. Head over to Jim’s site, read the full blog post, and then download MonkeyMixer for Delphi XE5.